Thousands of retired Texas state workers are essentially stuck in 2001. Though health care, food and pretty much everything else keep getting more expensive, their monthly pension checks haven’t budged. Thousands of retired Texas state workers are essentially stuck in 2001. Though health care, food and pretty much everything else keeps getting more expensive, their monthly pension checks haven’t budged to cover those costs — not since Gov. Rick Perry’s first year in office. That leaves some struggling to get by or working private sector jobs into their twilight, advocates say. 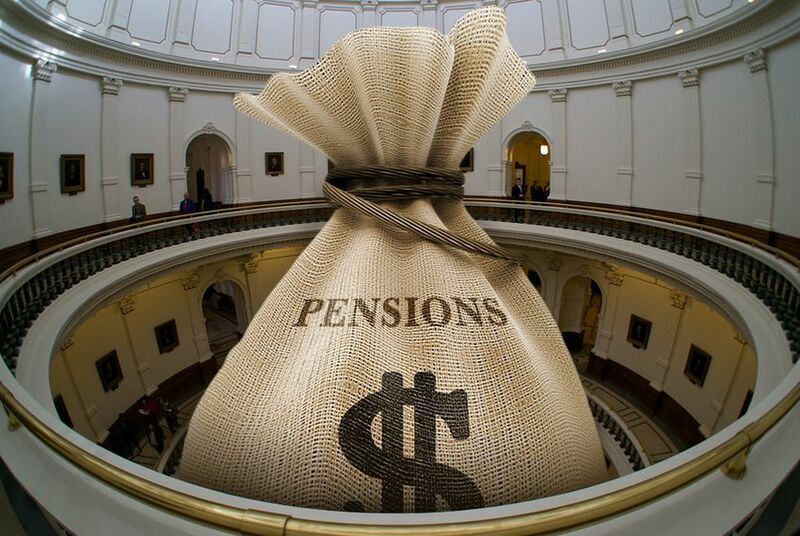 Now, those covered by the Employees Retirement System of Texas pension funds are asking lawmakers for a cost-of-living adjustment, calling it long overdue. But with plunging oil prices and potentially costly lawsuits clouding Texas’ financial outlook, advocates likely will have a steep hill to climb in the looming legislative session. The Employees Retirement System benefits about 230,000 active and retired state employees, elected officials, police and custodial officers and judges, issuing pension checks based upon their pay. Jerry Wald is one of them. He retired from his job as a program coordinator for the Department of Aging and Disability Services in 2007, and his costs — particularly health care — are much higher now. His pension check now has roughly 87 percent of its original buying power, according to a federal Consumer Price Index Inflation calculator. “This amount is insufficient to pay for basic necessities since the costs keep rising,” he told members of a Texas House Appropriations subcommittee at a hearing Wednesday. On average, the system’s beneficiaries receive $1,600 per month. That buys what $1,200 would have in 2001, a 25 percent drop in purchasing power. Hutchinson attributes the 15-year lag in cost-of-living adjustments to a “perfect storm” of factors. Texas law says state pension funds can’t adjust for cost of living unless the funds are actuarially sound — that is, they have enough money available to cover all liabilities even after the increase. The much larger Teacher Retirement System of Texas reached that threshold after legislative changes in 2013, giving some — but not all — of its retired public and higher education employees their first adjustment since 2001. As it stands, the Employee Retirement System is expected to reach that threshold in 33 years, which is actually an improvement compared to recent years. Texas tended to fully fund the system throughout the 1990s. But a turn-of-the-century recession triggered a long streak of chronic underfunding. What’s more, state government has shrunk slightly over the years, leaving fewer current employees to chip in for the growing ranks of retirees and prompting questions about whether the funds would run out of money. Last session, lawmakers sought to shore up the smaller system by increasing state and employee contributions by roughly 2 percent each (workers received a small pay increase that was aimed at reducing the burden of that change). State workers and advocates cheered that move but are still troubled to think that it means their checks could be frozen for another three decades or more. Anitra Patterson, who retired in 2003 after working for the state's child welfare system, said her out-of-pocket expenses had doubled since then. “We were often working in dangerous, deplorable conditions that our clients suffered and endured," she said, adding that the lack of adjustments push some retirees into the same conditions as the people they served. Lawmakers lent a sympathetic ear, and they discussed a limited set of options. “You will be on our minds this next session,” said Rep. Borris Miles, D-Houston. Advocates are pushing for a lump-sum cash infusion that could more immediately plug the funding gap and allow for the cost-of-living adjustment. But even that could be tricky. The Texas Constitution says the state's contributions to pension funds can’t eclipse 10 percent, and the state currently contributes 9.5 percent. Legal experts disagree about whether such an infusion would count toward pushing Texas over that threshold, but Employee Retirement System Executive Director Porter Wilson told lawmakers that his agency's lawyers consider it doable. “There obviously are some signals that it would send to rating agencies and such,” said Rep. John Otto. As always, retirees will have plenty of competition for funding, and their latest push comes at an inopportune time: A nearly two-year oil and gas downturn has shrunk the state’s budget surplus, and a host of lawsuits — on school funding, a tax exemption for petroleum drillers and a foster system in crisis — threaten to cost the state billions more in revenue. Nevertheless, employee advocates insist lawmakers have options, even if it’s tapping the state’s nearly $10 billion Rainy Day Fund — money squirreled away for emergencies. “For retirees and employees, it’s definitely a rainy day,” said Hutchinson.